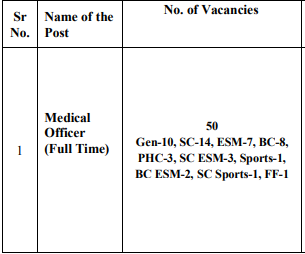 Good news for candidates is here, who are waiting for jobs in the National Health Mission. NHM Punjab has issued the latest job notification for 62 information assistant, computer operator job vacancies. Walk-in interviews are being organized for eligible candidates for posts of Information Assistant, Computer Operator. Interested and qualified candidates who are looking for NHM Punjab jobs can participate in the walk-in interview with the application which is to be downloaded through the official website nhmpunjab.in. The selected candidates will get Rs 8,000 / - from the organization. Interested and qualified candidates can participate in the walk-in interview at the bottom with the application form which is available on 4th, 5th October 2018 on the official website nhmpunjab.in. Participants need to bring original certificates for walk-in interviews with Xerox copies. Good news for candidates is here, who are waiting for jobs in the National Health Mission. NHM Punjab has issued the latest job notification for 50 job vacancies for MO Jobs. Walk-in interviews are being organized for eligible candidates for medical officer MO posts. Interested and qualified candidates who are looking for NHM Punjab jobs can participate in the walk-in interview with the application which is to be downloaded through the official website nhmpunjab.in. The selected candidates will get 35,000 / - per month from the organization. Interested and qualified candidates can participate in the walk-in interview at the bottom with the application available on 04-09-2018, official website nhmpunjab.in. Sellers need a walk-in-interview to get the original certificate with Xerox copies that are participating. O / O Mission Director, NHM Punjab, 5th Floor, Prakash Bhawan, Sector 38-B, Chandigarh. The selected candidates receive Rs. 15,600 - Rs. 39,100 + Rs. 5,400 G.P + NPA + Permitted PG approval of the organization. Interested and Eligible applicants may download the required form from the pbhealth.gov.in website and submit their application form on 24-07-2018 or earlier. The prescribed form along with a photocopy of all relevant documents should be sent to the address below. Education MBBS Degree You must have registered with the Punjab Medical Council / Medical Council of India. The selected candidates receive Rs. 18,000 / - per month of the organization. Interested and Eligible applicants may download the required form from the pbhealth.gov.in website and submit their application form before 12-07-2018. The prescribed form along with a photocopy of all relevant documents should be sent to the address below. Looking for "NHM Punjab Recruitment 2018 for Personal Nurse, ANM, Pharmacist Posts." 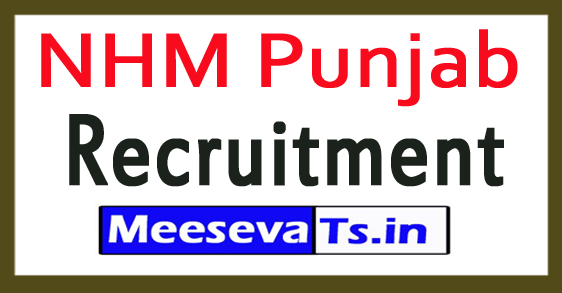 NHM Punjab Recruitment 2018 – 170 Health Visitor, Supervisor Posts launched notification for the recruitment of the posts of one hundred seventy Health Visitor, Supervisor below NHM Punjab Recruitment. All Eligible and Interested candidates may additionally practice Online mode before Last Date i.E., 15-04-2018. Other Details Like training qualification, age restriction, choice process, utility fee & a way to follow, crucial hyperlinks, syllabus, admit cards, outcomes, previous papers . Candidates need to have done twelfth, Diploma in Multipurpose Health, Bachelor Degree, B.Sc in MLT, Post Graduation Degree in Microbiology or Medical Microbiology or its equal qualification from a recognized board / college. Rs. 40000/- (Post 1), Rs. 15000/- (Post 2,3), Rs. 12000/- (Post four,five), Rs. 10000/- (Post 6) .